The Dolan-West Dolan Fire Protection District recently welcomed the delivery of a new brush truck, which will assist them in tackling outdoor and wildland emergencies. Sold and delivered by Feld Fire, this truck was designed and built to fulfill the department’s unique firefighting needs. Feld Fire, a leading distributor of firefighting and rescue gear, continues to strengthen their sales and support staff with the addition another industry veteran: Jeremy Perrien. Jeremy joins the Feld Fire team as a full-time Sales Rep for the Southeast Missouri region, handling equipment sales and leads on fire and ambulance apparatus. 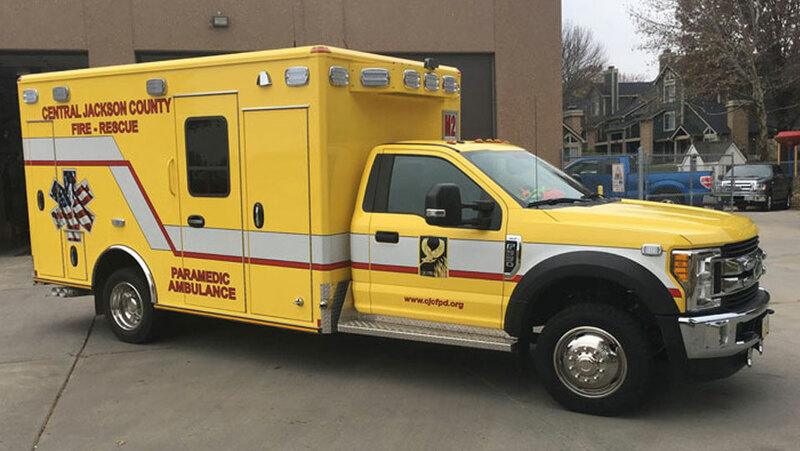 The Newton County Ambulance District of Neosho, Missouri recently took delivery of a new ambulance that will assist them in answering life-saving calls. This is the fifth ambulance sold and delivered to the Ambulance District by Feld Fire. This one-of-a-kind Wheeled Coach Type 3 ambulance was custom-designed to satisfy the District’s very specific needs. 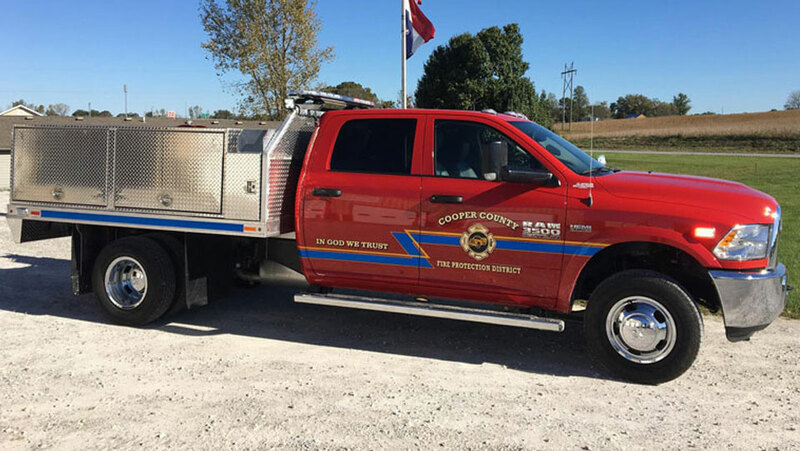 The Cooper County Fire Protection District in Boonville, MO recently took delivery of two new additions to their growing fleet. Sold, assembled, and delivered by Feld Fire, Cooper County's new brush trucks will replace two apparatus that were recently refurbished and repurposed for medical and rescue use. 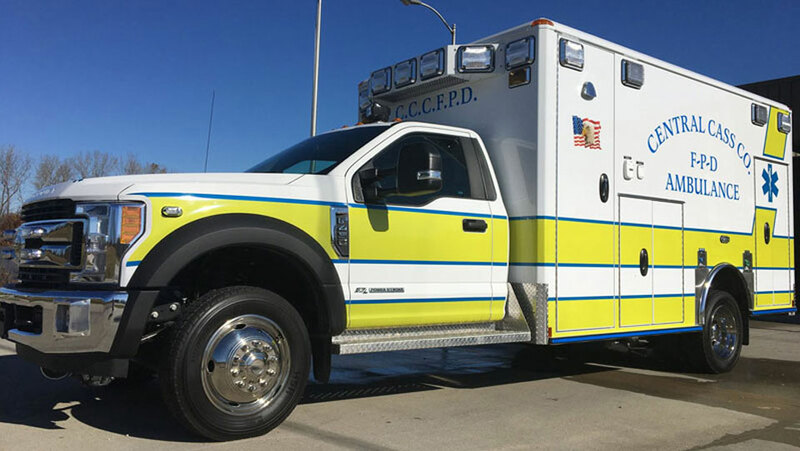 The Central Cass County Fire Protection District recently took delivery of a new ambulance that will assist them in answering life-saving calls. Sold and delivered by Feld Fire, this one-of-a-kind Wheeled Coach Type I ambulance was custom-designed to satisfy the very specific needs of the Fire District. The Central Jackson County Fire Protection District recently took delivery of a new ambulance that will assist them in answering life-saving calls. Sold and delivered by Feld Fire, this Wheeled Coach Type I ambulance was custom-designed in alliance with the committee and staff of the Central Jackson County Fire Protection District. Seven just might be the world’s favorite number. It also happens to be the number of new apparatus now in service for the City of St. Louis, Missouri. The St. Louis Fire Department recently took delivery of seven brand new ambulances that will assist them in answering life-saving calls. Sold and delivered by Feld Fire, these Wheeled Coach Type I ambulances were designed after the thorough in-service evaluation of a previously delivered prototype. With the opening of their newest location in St. Louis, Missouri, Feld Fire, a leading distributor and servicer of fire and safety equipment, continues to expand the reach of their award-winning sales and service network. Harrisonville Emergency Services recently took delivery of a brand new apparatus that will assist them in answering life-saving calls. Sold and delivered by Feld Fire, this brand new 2017 Wheeled Coach ambulance is the third unit Harrisonville Emergency Services has put into service in the last four years. The Pleasant Hill Fire Protection District recently took delivery of a brand new apparatus that will assist them on answering life-saving calls. Sold and delivered by Feld Fire, this brand new 2017 Wheeled Coach Type I ambulance was designed to meld state-of-the-art technology with operator convenience and patient comfort. Feld Fire, a fire industry and fire equipment distribution leader, has recently made several key hires of personnel with years of experience in firefighting and firefighting equipment service. John Feld, president of Feld Fire, said new hires reflect Feld’s commitment to providing more than just sales and service to the company’s customers. Spartan Emergency Response (“Spartan”), a leading fire apparatus manufacturer, recently expanded their apparatus service and sales reach by welcoming Feld Fire to their family of dealers. The Iowa-based fire industry leader will now represent Spartan in four states, including Iowa, Nebraska, South Dakota and Missouri. Fire industry leader, and fire equipment distributor, Feld Fire, has been awarded the Scott ‘5-Star Status’ award. The certification, which is only awarded to distributors who continually meet Scott Safety’s standards and requirements, was presented to the Iowa-based company at the 2016 FDIC (Fire Department Instructors Conference) expo in Indianapolis, IN for their exceptional service and dedication to the industry. Doniphan County Fire District No. 5, located in Troy, Kansas, recently added a new E-One top mount commercial pumper to their growing fleet. The apparatus, which was built on a two-door Freightliner chassis, was sold by E-One authorized dealer, Feld Fire out of Carroll, IA.